Over the river and through the woods to Kelly Ann's Quilting we go! 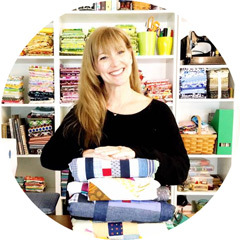 The online quilting community us FILLED with the sweetest people! I have been blessed with having the opportunity to have them as friends online and sometimes I get the chance to meet them in real life! Kelly Ann, I did meet online through a facebook friend, we have seen each other at Market and keep in touch daily online. 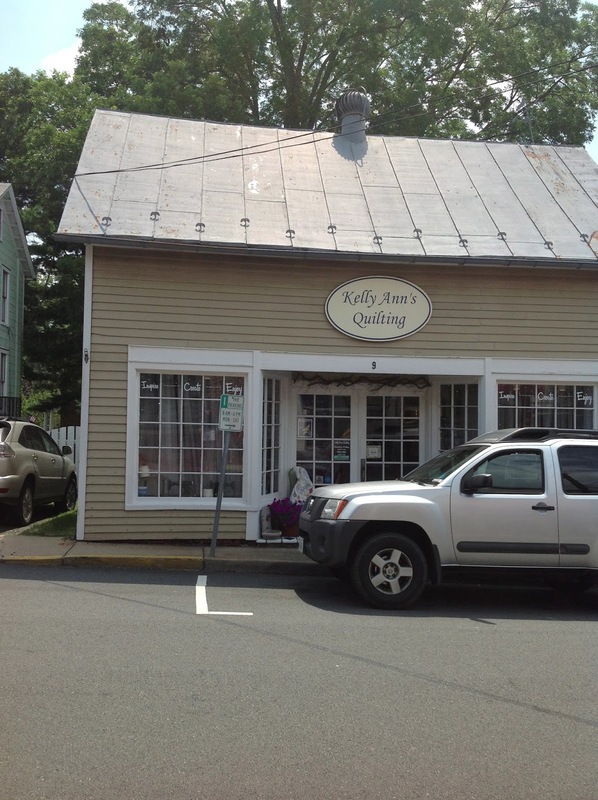 She owns a shop, Kelly Ann's Quilting, about an hour away from where I live. I meant to go last summer but for some reason or another it never happened. I was able to get my act together and the kids too and take the backroads up to Warrenton!!!!! YAAY!!!! I love Kelly Ann!!!!! The most exciting thing happened at the shop! Adam lost his second tooth!!!! Look at the gorgeous summerhome by Kathy McGee for Red Rooster Fabrics behind him...YUMMY! Kelly Ann has many rooms of fabrics and Katy was lost in the colorful Batiks. She is smitten with Neptune by Timeless Treasures. 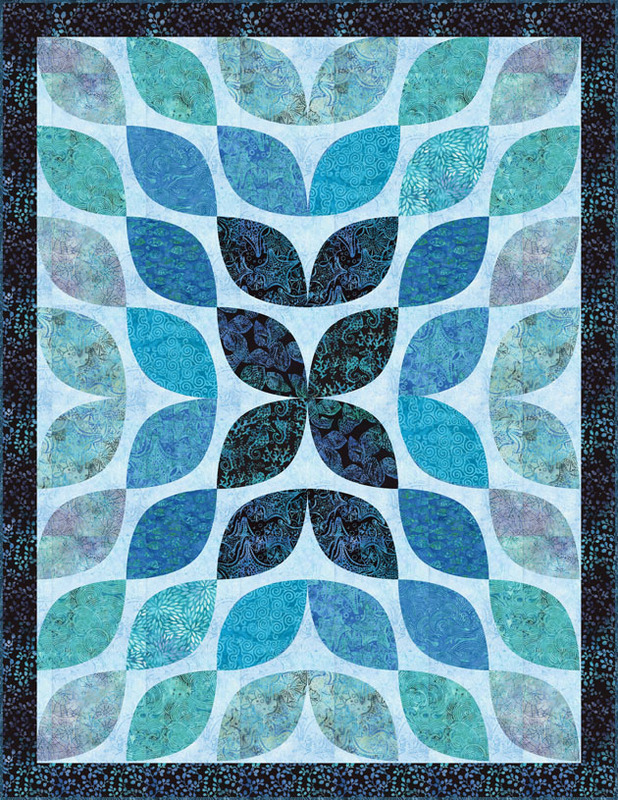 I have never made a quilt for her since she could never decide on fabrics. 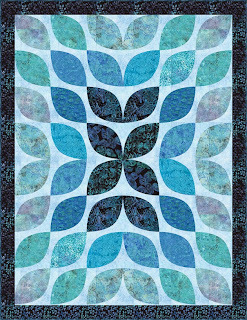 This is a free pattern on the Timeless Treasures site. I think with some white ( you knew that was coming Sara) it would be PERFECT for the girlie. Now to sneak back and snag a set for my special girl. There were also these pretties!!!! 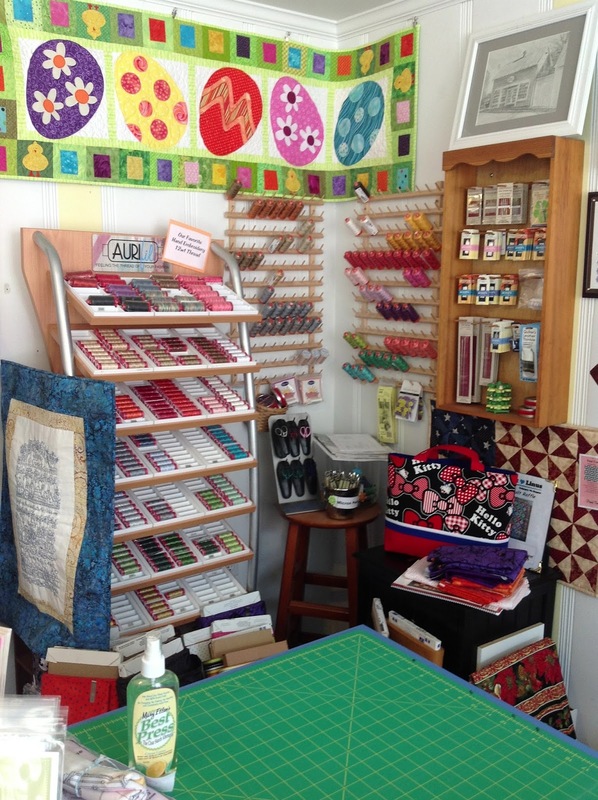 Kelly has a wonderful selection of Aurifil ( she even had a new shipment in the back room and I took a sneak peek) right next to her cutting station and I am sure it is so she can glance over at all the beautiful colors whenever she likes,LOL! I wish I had taken more photos but I was talking so much I lost track of time. I will be going back to visit again and i can get more photos of the great selection of embroidery patterns and the vintage sewing machines ( I was swooning). Many thanks to Kelly Ann, she is such a sweetie pie! If you are ever in the Warrenton area or even if you are not, make sure to go say howdy and look around a bit, this shop is really worth it! Sorry, but I never read your ABOUT ME part before. Love that!!! Cute shop. I love that Summer Home fabric. Very modern with great colors. 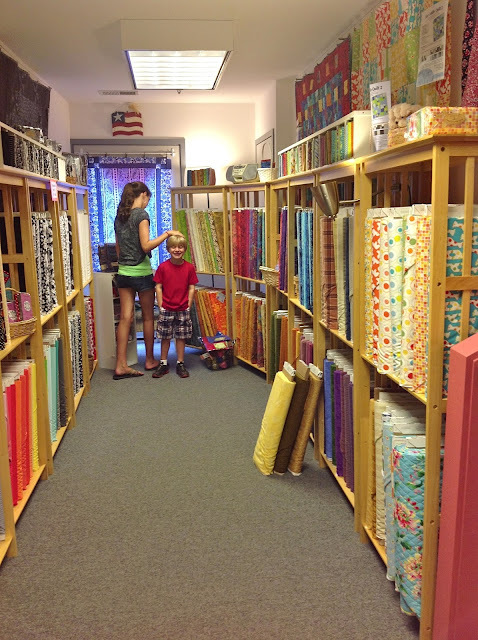 Friends with quilt shops, we all need some of those!